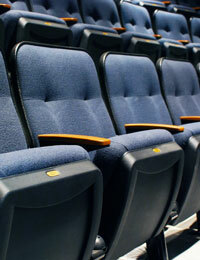 Help raise the curtain by sponsoring a seat in the Coralville Center for the Performing Arts. Gifts, which provide funding for equipping the theater, will be honored in the lobby among other seat sponsors. Your tax deductible receipt will be received from the Coralville Community Fund.